Hyroseeding is a process of planting seed which is mixed with a fertilizing mulch. It is sprayed onto prepared soil for a fast process that is very effective. At Country Green Turf Farms, our high-quality seeds are mixed with our special wood fiber mulch that plays a major role in the success of the seed. The Hydroseeding in Issaquah is done with a selection of grass turfs that are tailored for your specific usage, shade-to-sun ratio, and the amount of water and maintenance you want to put into it. Our professional hydroseeding staff in Issaquah understands that finding the right seed mix can feel daunting. That is why we take the time to talk to you and even inspect the area. 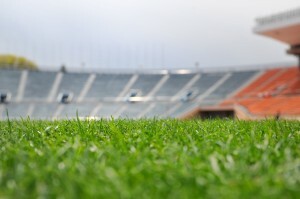 We find out things like: Will you use the turf for sports or other activities than can be rough on grass? Do you only get partial sun, and which at part of the day? These types of questions help us narrow down the best turf seed for your hydroseeding mix. We are happy to spend the time with you going over options until you feel comfortable in selecting the right seed. Our hydroseeding is a quick process. Our technology and machinery make for an even layer of seeds. Because hydroseeding is quick and so successful in the growth of lush turfgrass, it is a popular selection for planting in Issaquah. Especially in large areas such as parks, sports arenas, schools fields, and golf courses. You get the most bang for your buck with hydroseeding. As a family-owned, local company who has been serving Issaquah and the surrounding area for since 1988, we truly care about our community. You are never a nameless customer to us. We strive to cultivate turfgrass and seed mixtures that are strong and meant to thrive. All our installation, such as hydroseeding, is done with quality in mind at every step. We want you to have a gorgeous, green area as a result of our efforts. That is why we guarantee our hydroseeding products and labor. We also support you after and throughout the growing of your grass. Our team offers aftercare instructions and sticks around to walk you through them. We make sure you understand the best practices to help your lawn grow. We offer products and services that continue to support your turfgrass throughout the year, from when and how to mow to information and products for winterizing and overseeding. Check out our online reviews and you will soon see that we have long been a trusted name in Hydroseeding Issaquah relies on. Contact us today and find about hydroseeding your Issaquah location. 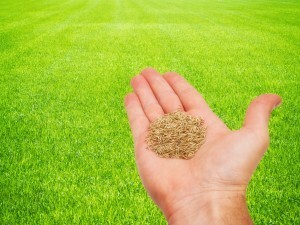 Whatever your need, we have the grass seed mixture that is right for you!